Lucifer’s Fall, a neophyte could question the need for a new doom project but we really won’t since this is widely different in its approach. It’s way more focused, full of might and, primarily, doesn’t try to reinvent the wheel by adding unnecessary estranged elements. The raw production compliments the carefully composed bass and guitar lines very well, it’s heavy, never too slow and it knows when to be groovy. It’s textbook trad doom of the higher calibre and this album is freaking marvellous. As Satan is my name! 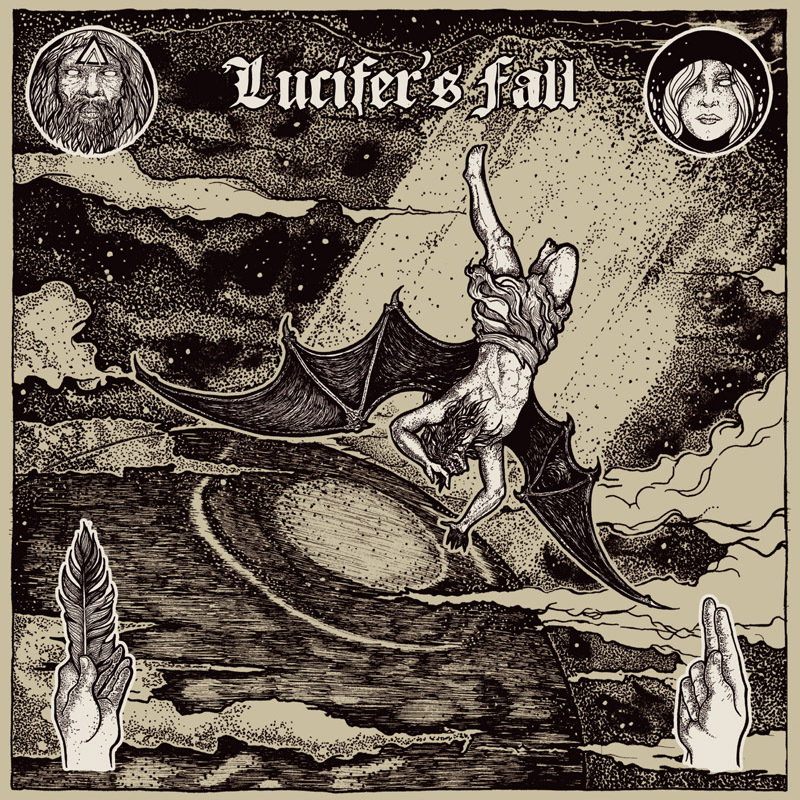 Lucifer’s Fall! Cast down from Heaven! We kind of believe that the whole Satan subject is tired but it’s definitely a classic one that we will always welcome. We’d like bands to be a bit more original theme wise but there’s nothing wrong with sticking with the good old formula and Howlett does it well. He’s proving that he really feels the genre, doom is about guts and feeling and it’s the case here. His vocal delivery is top notch, clean and adequate vocals with a lot of power and personality. He’s even delivering some high pitch lines similar to the The Wizard’s latest doom masterpiece. The slower moments of tracks like “A Sinner’s Fate” almost reminds me of the atmosphere bands like My Dying Bride were able to convey early during their career. It’s emotional, well written and doesn’t drag even though some tracks are on the longer side (nonetheless, never more than ten minutes). 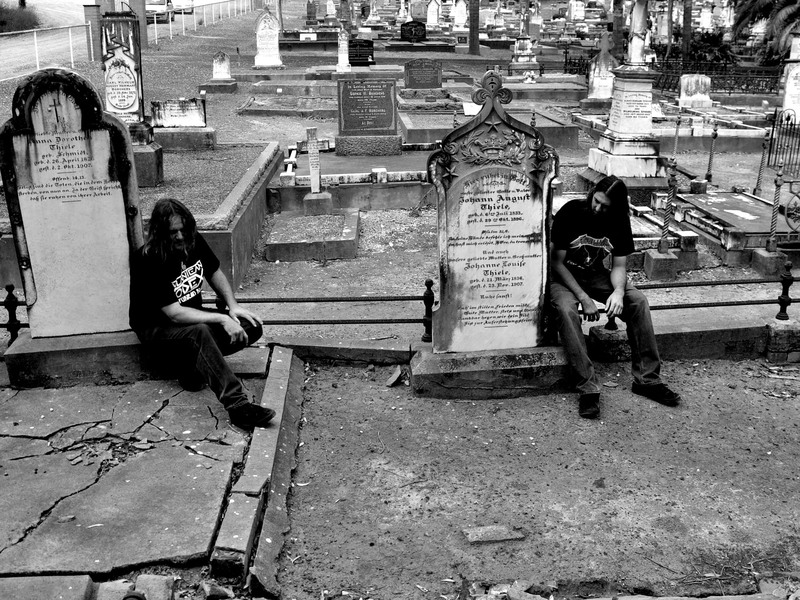 Australia is not well known for its traditional doom metal but rather for its more extreme doom with bands such as Mournful Congregation. Hence this fact, the band worships at foreign but interesting altars. The main one being located in Finland, you can certainly hear Reverend Bizarre and their disciples on Lucifer’s Fall’s music. There’s this sort of cold tongue in cheek darkness particular to this Northern Europe (or Scandinavia depending of your point of view) and the Aussies have it too, they probably spend a lot of time in the desert at night. The album respects the forty minutes unwritten rules and is a blistering, catchy, intense doom release deserving to top the best of lists of 2015. They let everything loose here, like the best doom albums, it’s emotionally draining in its self pity and its classical darkness.